This book covers the whole range of technology, from the tools and skills of ordinary men and women to the instruments of astronomers and the equipage and weaponry of war. Changes in technology are carefully traced and their consequences examined. Larger questions, such as those of constraints on technological development and the role of the social and economic environment, are also addressed. This volume, in line with the others of A People's History of India, gives several extracts from texts, containing significant information about specific aspects of pre-modern technology. 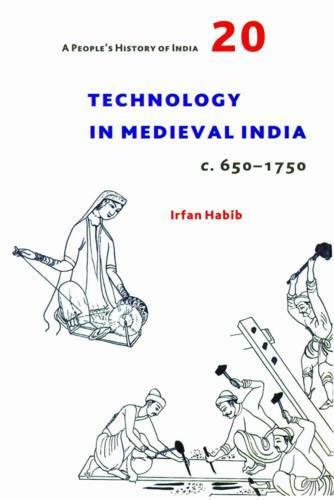 There are special notes on technical terms, sources of the history of technology, the problem of invention versus diffusion, and the development of medieval technology outside India. It includes illustrations taken from medieval sculpture, painting and book-illustrations. The volume is addressed to the general reader as well as the student, who would like to read about something on which conventional textbooks have little to offer. A special effort is made to keep the style non-technical without loss of accuracy. It is hoped that the theme is sufficiently interesting not only for the historian but for any citizen wanting to know what common people, men and women, did with their hands and tools in earlier times.